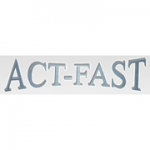 Welcome to Act-Fast Plumbing, we are a plumbing company specialising in quick response, emergency plumbing repairs. Based in Carlton, Nottingham, we are ideally located to serve residential and business customers throughout Nottinghamshire and Alfreton, Derby, Matlock, Mansfield, Belper, Ripley, Ilkeston, Langley Mill, Heanor and Sutton-in- Ashfield to name a few. We provide a comprehensive range of general plumbing services including radiators and leaking tap repairs, drain unblocking and bathroom fitting to name a few. Established in 2008, Act-Fast Plumbing have a wealth of knowledge in the plumbing industry, with over 20 years experience in emergency repairs for showers, baths, sinks, radiators, toilets and dripping taps and much more. At Act-Fast Plumbing, we will clear and repair blocked drains, carrying out all types of drainage work. We hold the Severn Trent Water “Watermark" certification, allowing us to repair burst and damaged external mains water pipes on your property, without the need for you to call Severn Trent Water. We also offer other services including: fitting new bathrooms, toilets and showers, as well as general plumbing repairs.